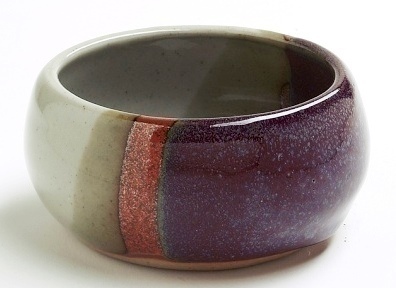 Hand crafted pottery, glazed in the rich colors of the southwest. No two are exactly alike. Fits in the palm of your hand. Use with shave soap, but also works great for shaving cream. Col. Conk 3 3/4 oz soap included (scents will vary). Boxed.